This morning, amidst my second cup of coffee and a snuggly five-year-old, I finished Go Set A Watchman (GSAW). I’m aware of the never-ending controversy this book stirs in so many people, because it’s not the great piece of Southern fiction that To Kill A Mockingbird is. Only today, I read this article on The Guardian about people wanting refunds. And I get that. Not because I think they should get a refund (I don’t—they both bought and read this book), but because there is controversy behind the publishing of GSAW. 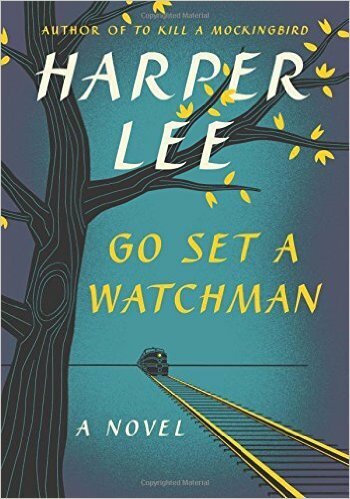 Nelle Harper Lee didn’t want this book published according to her friends, because it was a rejected draft of TKAM and in her old age she’s being exploited. As a writer, I know I wouldn’t want unedited manuscripts to see the light of day. I know I would want control of what is published and what is not. For those of us who see it from that point of view, it’s sad that an elderly person is being exploited for the sole reason of making money. That’s not why a writer writes. A writer writes to send a message, for catharsis, and to share their love of words and ideas with others. But I started this post to review GSAW since I read this book (did not buy it—I actually read most of my parents’ book and then was gifted my current version). And I gave it 3 stars on Goodreads. As I said in my pre-review post, Atticus as a racist doesn’t bother me. Why? Because he’s a product of his time, place, and circumstance. GSAW starts right after a big Supreme Court decision, which one can only assume since we are never told, is Brown vs. Board of Education. The talk in Maycomb surrounds the evils of the NAACP and desegregation. At the beginning of GSAW, Scout comes home to visit her family from New York, where she’s been living for some time. If you know anything about Nelle Harper Lee (who prefers to be called Nelle—Harper is her pen name), then you know she lived in New York for some time. Many aspects of this book seem autobiographical, and they probably have to do with how she grappled with her upbringing and her thoughts on racial issues, which differed from so many people who she had grown up with and known her whole life. When Scout comes home, she’s greeted by Hank, her intended fiancé and she’s whisked away to a house her father built after she had grown and left home. Atticus enters the scene unchanged from the Atticus we all knew and loved in To Kill A Mockingbird (TKAM). And Scout still looks at him like a hero. She still holds him up on a pedestal, because he’s her daddy, the person she feels most akin to. We quickly learn that some of our beloved characters from TKAM are no longer players in this book. I won’t put many spoilers in this blog for you, in case you’re still interested in reading the book. We also learn that Scout is still a tom-boy and sees fit to wear pants all over town (oh, the horrors), and she’s still assertive and fiercely independent. She finds out that her father and Hank are not who she has always thought they were and much of the book is her having to cope with those thoughts and feelings. Haven’t you felt that way? Learning someone is different than your perceived notions. I think this happens a lot as you transition from a child to an adult, and this is the point Nelle Harper Lee intended to make in this book (draft really). Even the title of the book, GSAW, comes from a Bible verse referencing a “moral guide.” Each person has his/her own conscience and has to follow it the way they see fit. Now, do I think this book should have been published? No. The read was okay. The majority of the book is third person and in the point of view of Scout, but there is one chapter told from Atticus’ point of view. There are also some scenes with too many ellipses (I hate these. I prefer em dashes) and where Nelle Harper Lee delves into the first person or second person without warning. This does work in some books, but in GSAW, not so much. Overall, I gave it 3 stars because it wasn’t bad. It wasn’t TKAM either. It was never intended to be. It was never intended to see the light of the day, so if you can go into it looking at it that way then you won’t be disappointed. Next Up On The To Read List: Cold Sassy Tree. 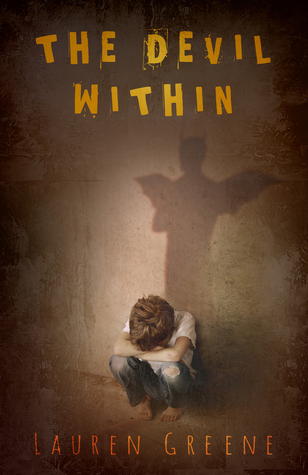 Don’t forget to click below to enter to win 1 of 2 copies of The Devil Within in my Goodreads giveaway ending August 31st.